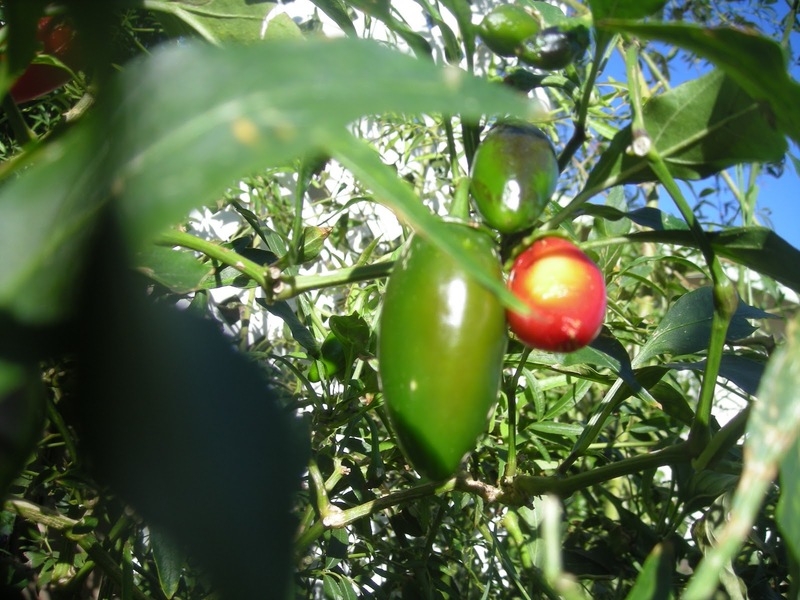 We also have some Anaheim chillies growing....not producing yet. 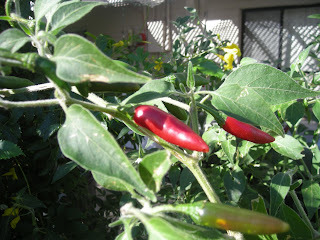 My sister brought back Hatch chillies from New Mexico last week. She gave me some canned ones for my birthday....in a pretty little jar. They are hot ones. Oh so delicious. 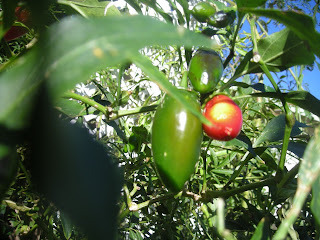 Usually we roast them and freeze them to have ready whenever we want one on a sandwich or want to use them in a recipe. Living in hot weather we eat a lot of hot food. Excellent Gemma. I just asked my friend Georgina from Albuquerque NM if she could send me some and she is when she gets back. I'm looking forward to that. I've got this seed place from Hatch NM that I will be ordering the 4 different seeds they have from the mildest to the oh so hottest. I have to try to grow them. I can hardly wait till next year. I hope I'm still here then. I hear tell those chile's are delish. Glad you got some and I didn't even know you had a sister? Take care amiga. Mmm, J and I love chiles too. When we get to Phoenix again one day we shall meet and eat hot food. Sound good? Hubby loves peppers, the hotter the better. I am sensitive to them, so much so my lips blister.